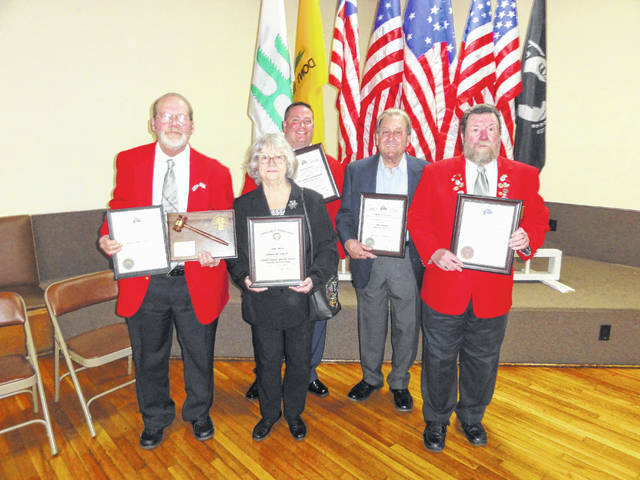 The 2018 officers for the Gallipolis Elks 107 were installed by members of the Gallipolis Past Exalted Rulers Association on March 31. 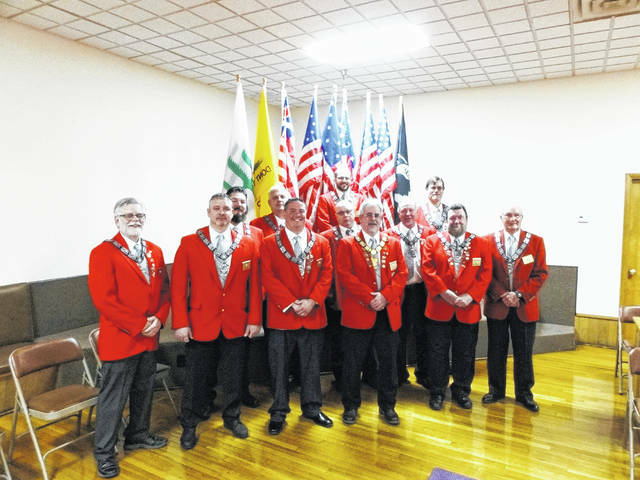 The new officers are, first row, left to right: Inner Guard Dan Bowman, Tiler Greg Wray, Loyal Knight Jason Northup, Exalted Ruler Bob Marchi, Treasurer Nelson Dray and Secretary Fred Bryant. Second row, left to right: Leading Knight Bob McClaskey, Trustee David Swain, Trustee John Davis and Trustee Ron Jackson. Back, left to right: Esquire Drew Rose and Chaplin John Story.